When we think of STEM, we picture building robots and designing experiments. However, we need to remember the M in STEM stands for math. How often do you use technology to teach a math lesson? How often do you even combine math and technology? Most of us don’t. Instead, most teachers normally use our technology for typing up stories or doing research and pull out the worksheets and whiteboard for math. Hmmmmmm….. that doesn’t mesh for me. So I have for you a video and a free project matrix that will make you want to combine technology and math in your elementary classroom on a regular basis. In a past life (well actually about 9 years ago), I was a computer lab teacher in a school where the computer lab had previously been a place to put washed up teachers. I had an administrator tell me she didn’t want to “waste” my talent by putting me in the computer lab. However, I knew that teaching students technology skills was not a waste of my teaching talents but was a way to help all of the students in the school instead of a small class. So in order to convince my administration that this was the job for me, I created a matrix of the projects that I could do with each grade level that would integrate the technology skills I wanted to teach with the math skills which were our school’s goal that year. Two weeks after I submitted the matrix, my administration agreed to let me take the computer lab position for the following year. For the next two years I taught computer lab as a project based classroom with math and technology skills integrated. Now I’d like to share that matrix with you! This summer I was asked to speak to a group of teachers during a technology conference for my district. 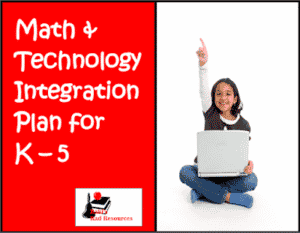 I spoke specifically about how to make use math and technology together in your classroom. 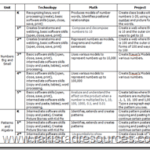 At my blog – Raki’s Rad Resources – you will find a video of my recent presentation as well as a link to this free technology project matrix with multiple projects that you can use to implement technology based math lessons from the first day of school.